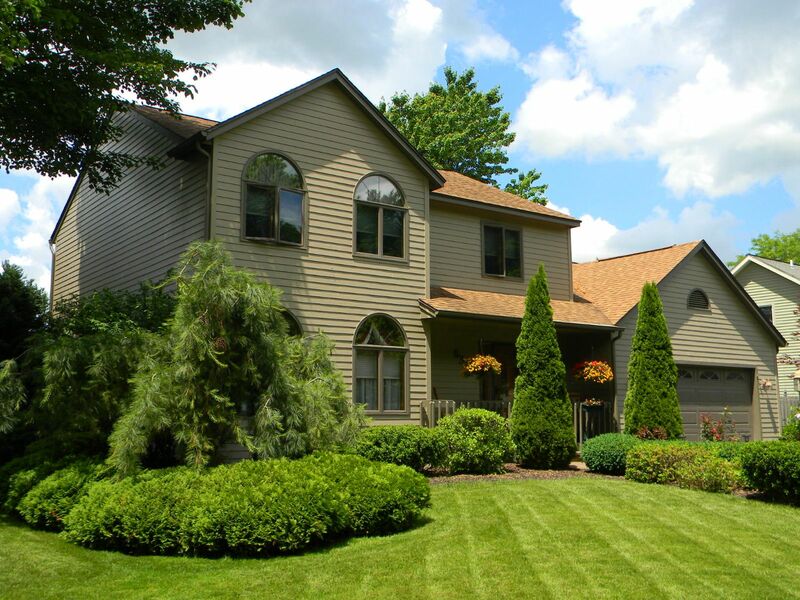 Cicero New York Real Estate - http://www.CNYAgent.com - Contact Bob Mctague at 315-882-6610 – 6327 Hardwood Lane, Cicero, New York - Welcome Home! - Fantastic home in the desirable "Eldan Meadows" neighborhood. This custom built home features an eat-in kitchen with a center island, Corian countertops and sink, a large vaulted family room offering a gas fireplace with a stone surround, a spacious formal living & dining room, half bath, a master bedroom with a master bath, two other good sized bedrooms, and another full bath. This home is equipped with central A/C, a two tiered deck with a hot tub that overlooks a private treed backyard with beautiful landscaping. New Hardie board siding (Maintenance Free) and all new windows. Call today!